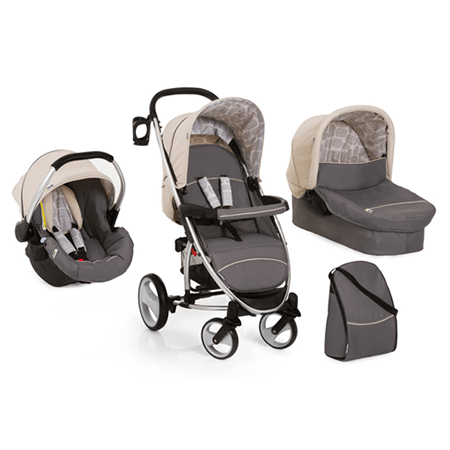 The iBabyCare M6T has a unique and innovative design, that allows you to combine safety and style within your home. With a range of features you can always feel confident that your baby is relaxed, comfortable and settled in their room. Meet the Venicci Gusto 3-in-1 Travel System – a versatile pushchair with a new design that includes a stylish gloss black chassis and a brown leatherette finish, which provides the stroller with both a luxurious and elegant look. 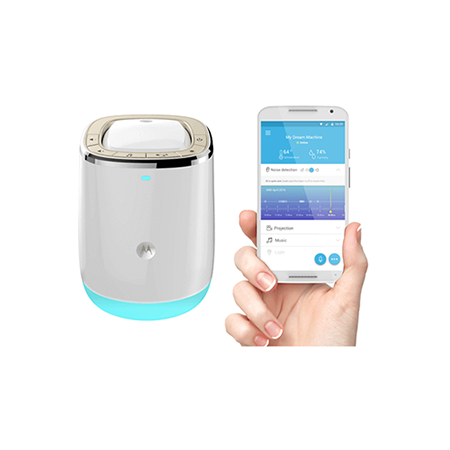 Your nursery just got smarter: help your little one sleep soundly with the Motorola Smart Nursery Dream Machine. This connected sound and light show projector features a night light with changing colours, three animated scenes and free downloadable lullabies. The two-way communication feature allows you to hear when your child is upset and means you can speak to them directly through the system, soothing them back to sleep. The Hauck Malibu XL 3-in-1 Travel System gets you and your little one perfectly equipped straight from birth right up to toddler. The Summer Infant Side by Side Video Baby Monitor is the perfect choice to watch over and view your baby, through the early months and beyond. The FIRST monitor to introduce split screen with the added bonus of pan and tilt to achieve the perfect viewing angle of your little one. 2 included camera feature soft glow night lights that will help provide a calming nature into any home nursery; with the red glow helping your baby fall asleep and blue light to help soothe your baby whilst they are sleeping. The UK's premier website for baby monitors. Baby Monitors Direct have fantastic range of high quality Digital monitors from the likes of Samsung, Tomy, Luvion, Motorola & many more!